Show your partner or spouse how much you love them with this romantic gift! Perfect for anniversaries, Valentine's Day, and just because! 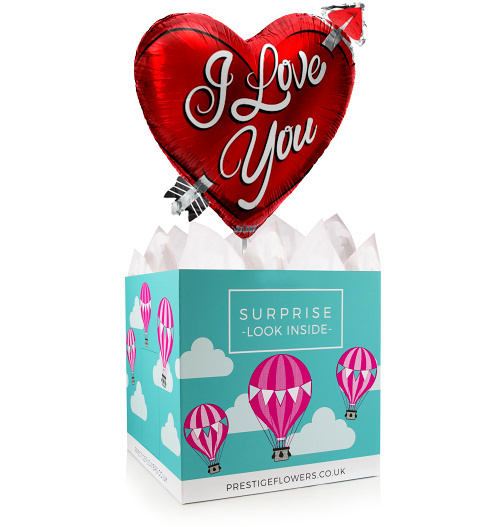 We have included a beautiful 18-inch helium balloon and gift box with tissue paper. We encourage you to include a personal message and you are welcome to choose from our optional extras such as chocolates, wine, cake, and cuddly bears.